We are very proud to announce that our temporary desalination plant in Strandfontein is now delivering high-quality, treated desalinated water into our supply system. 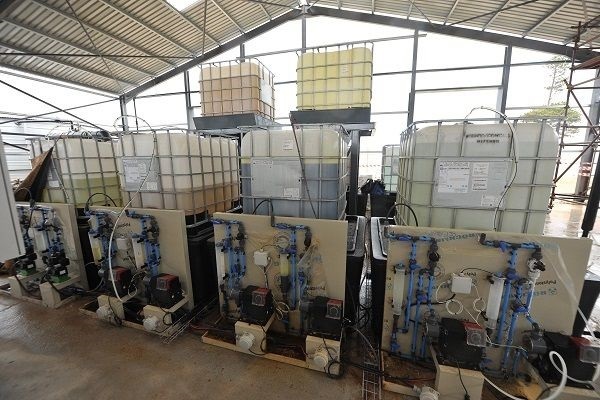 This plant is injecting 4,7 million litres per day into the reticulation system and is being delivered to customers. It is foreseen that full production of 7 million litres will come online during June 2018. 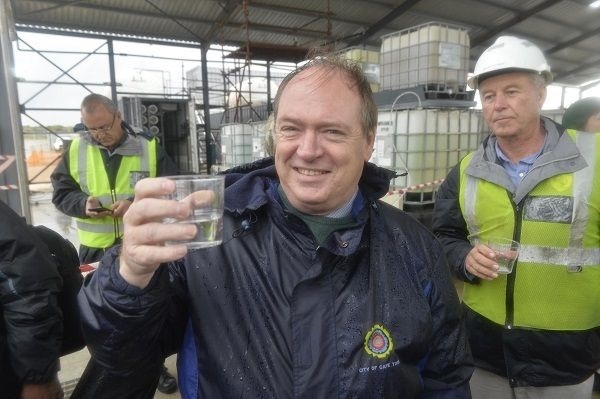 Our reverse osmosis desalination plant in the Waterfront area is close to producing two million litres of drinking water per day while progress on the desalination plant at Monwabisi is also progressing well, with first water expected to be delivered by June and full production to be reached by July, if all goes according to plan. This plant is also set to produce 7 million litres per day. It is important to note that these projects provide only a small contribution of our daily water requirement as a city. It forms part of our efforts to make additional water available without only relying on rainfall to fill our dams. However, our most effective tool to keep Day Zero away is to continue to reduce our usage. We have done well so far, and we must keep up our savings efforts during winter and in preparation for Summer 2018/19. We must continue to stretch our existing water supplies as we simply do not know what the actual winter rainfall will be. 21,1% -0,3% 525 million litres of collective usage. 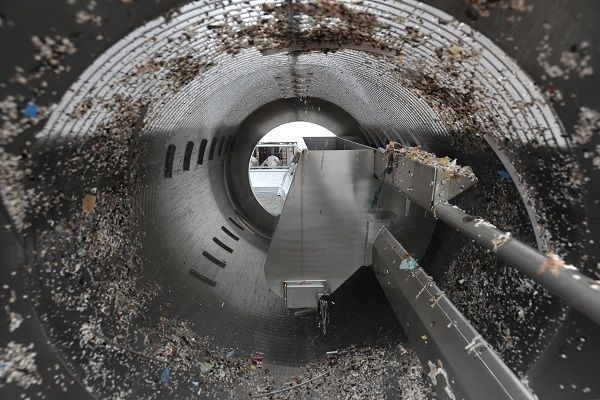 Target remains 450 million litres of collective usage. The desalination projects, in conjunction with our groundwater and water re-use programmes, are part of our efforts to make our city more resilient to future drought shocks and to ensure that we thrive despite climatic uncertainty. To get through the current drought, however, it remains essential that we reduce our water usage and manage the water that we have left in our supply system through the City’s pressure management programmes and our continued emphasis on fixing leaks to reduce water losses. The resilience programme, which came into effect in May 2017, has evolved considerably over the past year – with each evolution better reflecting the current reality based on the latest information as it becomes available. Substantial changes to the initial programme were announced in December/January 2017/18 and further amendments have been made since February and March, culminating in the New Water Programme. Sustainable groundwater extraction is cheaper, specifically for large yields. Our approach remains conservative to ensure we maximise the water yield sustainably at the lowest possible cost. Importantly, the system design for groundwater extraction can only be finalised once yield and quality are established in the various clusters. Temporary desalination and re-use should not be pursued further as emergency solutions as this is not affordable, and rarely provides the promised volumes of water. For future resilience, permanent desalination and water re-use are recommended as alternative sources of water to add to ground and surface water supply sources. The City’s augmentation programme has achieved in four months what would usually take two years in terms of project development and progress. We intend to produce close to 100 million litres per day of additional water available by December 2018 and to ramp this up to over 150 million litres per day by April 2019. Atlantis aquifer Timeframes are dependent on variables such as water quality and land access. Atlantis Aquifer – 12 million litres per day is currently being supplied from groundwater sources. Atlantis is thus off the grid already. Going forward, the City will continue to work together with water users to reduce water usage while also doing everything we can to conserve and diversify our water resources.